Who wants to read ads while driving? Google is betting that the answer may surprise you. 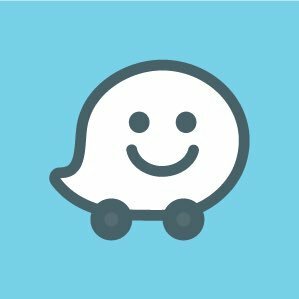 Waze, an Israeli-based mapping service acquired by the search giant in 2013, has some plans to serve ads to drivers—and now it wants to promote its own product more aggressively with help from PHD. According to parties close to the business, Waze picked the Omnicom shop as its media agency of record following a pitch. Representatives for both Waze and PHD declined to comment. This news follows the company’s decision to partner with WPP in a deal that will allow the holding company’s clients to serve “entirely assistive and nonintrusive” ads via the platform, which essentially brings Google Maps into your car. So how do these ads not interfere with one’s ability to drive? 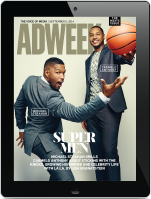 According to Adweek’s writeup, they won’t take over the screen but come in the form of “branded pins” or “arrows” that point to nearby businesses and feature brand logos in addition to “voice commands” that would allow brand mascots (hello, Geico) to guide you toward your destination. Full ads only appear during “zero speed takeover” when the car is completely stopped. Our sources said several agencies were briefed on the pitch and that a select group then made live presentations before Waze awarded the business to PHD. It’s unclear at this time which names were involved. PHD obviously won’t be handling ads involved in that WPP deal. Based on the nature of the product, its work will be aimed toward advertising companies themselves as well as drivers who might consider switching from their usual mapping service and, potentially, smaller businesses interested in placing ads on Waze. The brand is not a big spender (Kantar has its 2017 paid media budget at less than $1 million), but given the WPP deal and the decision to pick a media AOR, it’s safe to say those numbers will go up soon. Here’s a video summarizing what the company did in 2018 that gives you a better idea of what it’s all about.